While I do not feel there is any legal bar to the enactment of the Uniform Civil Code I yet think the exercise is undesirable in the manner it is sought to be implemented. The undesirability, however, has nothing to do with the “fears” of any section opposing the Code nor with any inherent illegality in the exercise and is based only on what Karl Popper referred to in The Open Society and Its Enemies as the need to fight the more urgent evils in society than the greatest ultimate good. Uniform Civil Code will not violate any law nor transgress any bar on its enactment. Under Article 372 “existing laws” can be “altered” or “amended” by competent legislatures. 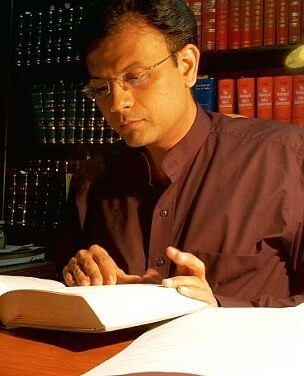 I am aware of some judgments to the contrary but Personal Law cannot but be “existing law” as term “law”cannot be confined to statutory enactments and will encompass “everything acceptable as law to modern jurisprudence.” As existing laws, Personal Laws would not only be “subject to the Constitution” (even if Article 13 does not apply although I feel it does) but both the central and state legislatures would be competent to legislate on them in terms of Entry 5 of List III of the Seventh Schedule to the Constitution. Such legislation can effectuate the mandate of Article 44 of the Constitution. This exercise will achieve the objectives both of cohesion and equality which are the basic attributes of constitutional polity and are also concepts underpinning to every religion. In fact the Supreme Court itself (even while holding Part III does not touch upon Personal Laws – an observation which passed sub-silentio) recognized that Personal Law could be “altered or modified” by statute. Article 26 will not be a bar because Article 44 is as much an integral part of the Constitution and enacted along with the former. In any event freedom of religion under Article 25 itself contemplates the State “making law providing for social welfare and reform” – the professed objective behind Uniform Civil Code. In fact there is historical precedent for such enactments even under the British Rule with statutes enforcing reform applied to different religious communities. While admittedly no religion can be reformed out of existence, its practices are “subject to public order and morality”. No religion can sanction anything inherently unjust and that which is unjust is not immune from scrutiny and modification. This will conform to the mandate of Part III (Article 15(3) of the Constitution requires the State to make special provision for women and children ) and also fulfil the objectives of Part IV of the Constitution which requires the creation of a just social order. The substance of such action would have nothing to do with religion even if it may be incidentally affected. Any step to alleviate and improve their condition will only create a just social order with which no religion can have any objection. I, however, do not feel Uniform Civil Code is necessary to enhance unity. This argument itself will disenchant a sizeable section of the population against the Code for reasons having nothing to do with the Code itself. Differences coexisting in a society is a more mature sign of unity of the society than uniformity in it. An enforced uniformity will be dangerous to unity as rejection of volition (which such enforcement will entail) will generate aversion not cohesion moving towards rejection of the compact itself. A mosaic of people can be as cohesive as a melting-pot and a vibrant pluralism of a multi-cultural society will enhance the resilience of unity not diminish it. In any event we have uniform penal laws. Matters concerning contract, securities, banking, labour, electricity, acquisition, intellectual property, environment, consumers and transfer of property are also uniform. The procedural laws are uniform too. Almost every aspect of inter-personal relationship in the country is governed by uniform laws. In fact there is an option for uniform law even for marriage, divorce and maintenance under the Special Marriage Act, 1954. The use of this Act can be popularised and the recommendation of the Law Commission that “Special” be deleted from its title to read “Marriage Act” and all inter-religious marriages be mandatorily performed under the said Act will facilitate national integration even without a Uniform Civil Code. We definitely do not need Uniform Civil Code for our unity. But unity is not the only objective of Uniform Civil Code. It deals also with liberty and with equality. I am surprised objection is being taken to the enactment of Uniform Civil Code as there is already much uniformity in the enforcement of laws across all religious communities. Dowry, a social evil and prevalent across communities, is punishable under a statute which applies to all. The Supreme Court has granted maintenance even to a divorced Muslim woman under Section 125 of the Criminal Procedure Code. Domestic violence, a problem across all religious communities, is again governed by a statute which makes no distinction on the basis of religion. And recently the Gujarat High Court applied the Child Marriage Restraint Act to a Muslim. Building on the consensus around that which prevails we can move incrementally in this direction by supplementing them on subjects of pressing importance like adoption and succession. The Adoption Bill was opposed by Muslims but adoption is a voluntary act of the parents and as child can only be benefited from the care and affection any law facilitating the same cannot be condemned by any reasonable individual recognising as it does freedom of choice and compassion for life. Similarly succession to property is more a means of gender empowerment than a mere religious edict. Once consensus is built on such issues the laws can be consolidated into a Code. It will be prudent to keep in mind what Karl Popper said was “the difference between a method which can be applied at any moment, and a method whose advocacy may easily become a means of continually postponing action until a later date.” We have to ensure that insistence on Uniform Civil Code does not lead to the abandonment of such a Code altogether.